so what is it? a market? restaurant? bank? why is someone holding money? Hola, soy Elias. So I was going to check out this resturant along Federal because it looked interesting. However, upon entry I discovered it was a sit-down. I was alone and did not want to risk looking lonely, so I left. 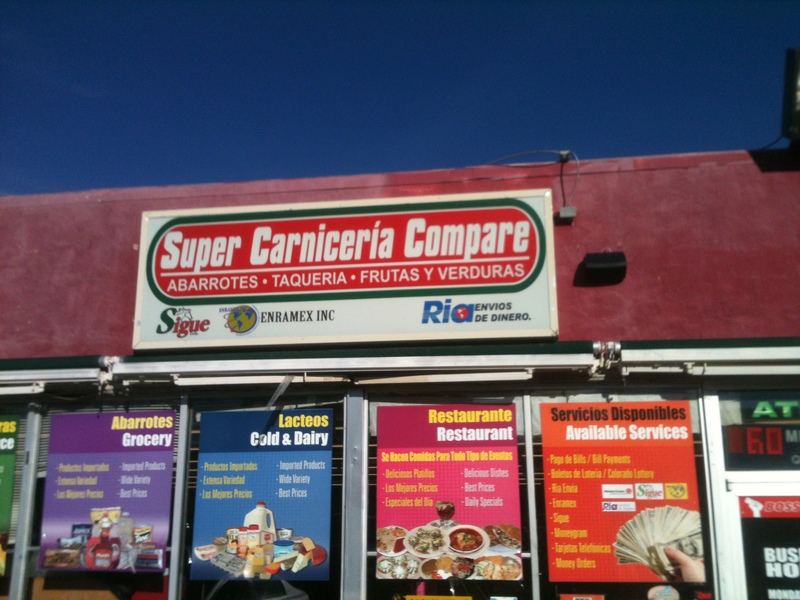 Thankfully, before I went there I noticed a market called “Super Carniceria Compare”. Most white people would avoid a place like this, and not even know what it is. Luckily, with my limited experience I was able to pick out a very key word: TAQUERIA. That means there are going to be tacos. I went to the deli and ordered four tacos in Spanish. Dos tacos de asada y dos al pastor. (Steak and pork). Only $1.50 each. The man handed me a to go box with a tub of TWO CUPS of salsa on top. I went to the grocery checkout and paid, came to under $7. I drove to a nearby park and began the adventure. did someone throw a hand grenade in here? I was surprised at first. Did he give me the correct order? Apart from the repulsive appearance, they looked delicious. And guess what, I was right. I was just given an extremely generous portion of meat, two or three cups of salsa, and a WHOLE lime. I didn’t ask for this. For under $7, absolutely amazing. The tacos were delicious. 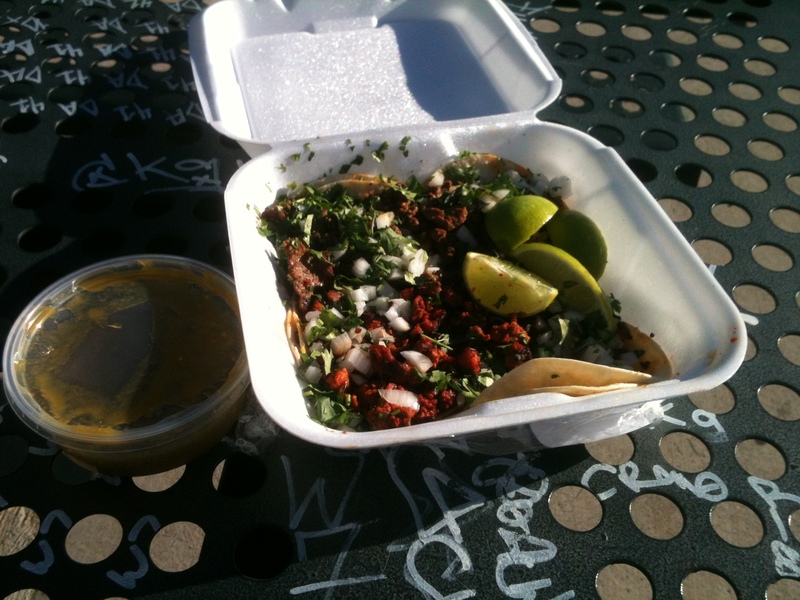 Meat was delectable, tortillas cooked perfectly, toppings fresh, and the salsa was nice and spicy. I honestly did not expect such a great deal with such great quality. The place is Super Carniceria Compare at 2796 S Federal Blvd. Go there. Go there now. 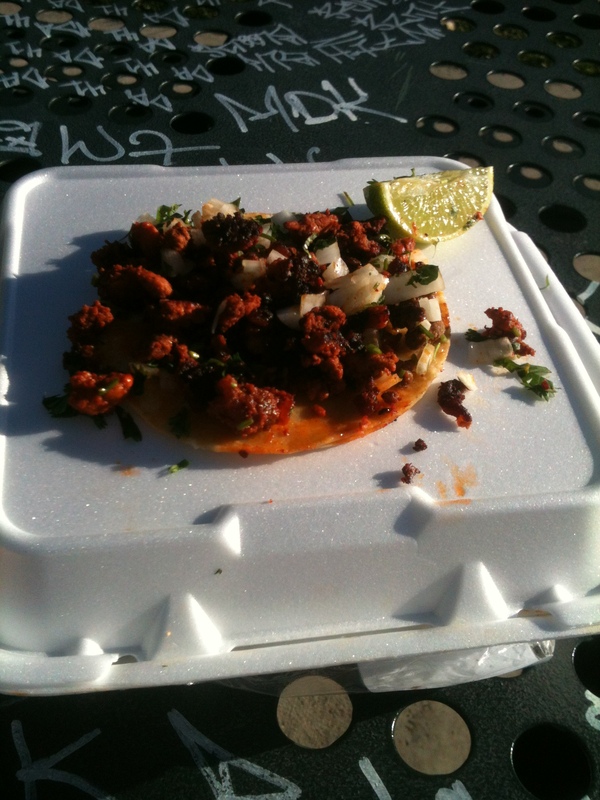 This entry was posted in Eli and tagged cheap, denver, federal, food, real mexican tacos, real tacos, tacos. Bookmark the permalink.